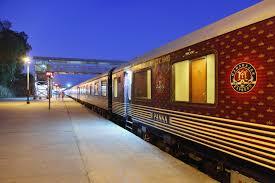 India is not only known for its rich culture, heritage and history, but also for its luxury trains. Indian Railways, which has one of the biggest railway networks in the world, also offers a delightful ride to the tourists in luxury trains. If you are in Rajasthan, make sure to take a ride in the famous Palace on Wheels. This luxury train not only offers you a memorable ride, but also gives you the chance to experience Indian hospitality at its best. The splendid exteriors, beauteous interiors and ethnic décor of the train never fail to charm all its guests. Palace on Wheels takes you to a memorable journey of the ‘Land of camels and snake charmers’. A similar train is ‘The Royal Orient’, which is also known for its splendor. The train will take you through Gujarat and Rajasthan, revealing the mystery of these two states. Its fourteen gold-embossed saloon cars help you explore a new world of fantasy, as you savor the religion, culture, art and architecture of ancient India. If this was not enough, Deccan Odyssey completes the list for you. Another luxury train of the Indian Railways, it takes you to Maharashtra, the Land of the Marathas, along with Goa – the Beach Capital of India. Sophistication is the theme of the décor of the train, with its wooden-finish interiors and lavish upholstery. During you journey, you will also be exploring the delightful beaches, along with the backwaters of Rai Bhatgaon Jetty.